This is not so much a solo album as it is a narrative with some backing music. All of the music is performed by Christian Vander on synthesizers (which were programmed accordingly by Stella Vander). For the most part it consists of gentle strings, lead horn lines, flute samples, and other orchestral typicals. 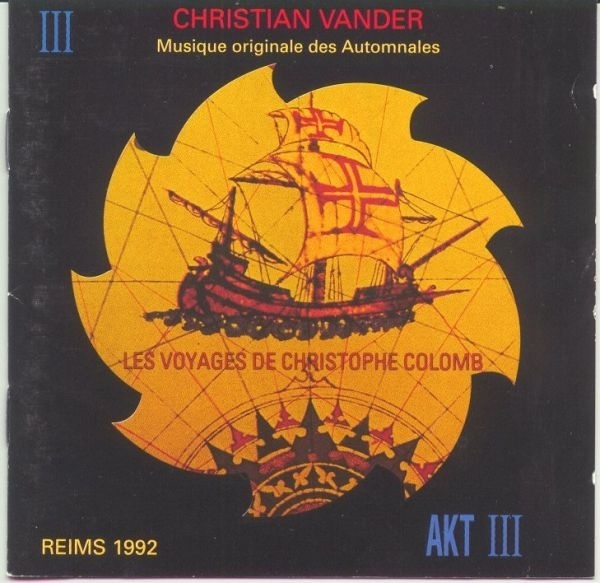 While this plays smoothly in the background, Vander narrates the story of Christopher Columbus (in French) at sporadic intervals, which also makes this feel less like a true album for the non-French speaking listener. The fact that this was released on Vander's homebrew label (AKT) also suggests that it is not meant to be taken as a true solo album, but rather a chapter in the history of Christian Vander's body of work. Basically this one is for the completist.